If you’re the type of diehard Rush freak who thinks who’ve seen everything the band’s ever put to video, get ready for this. 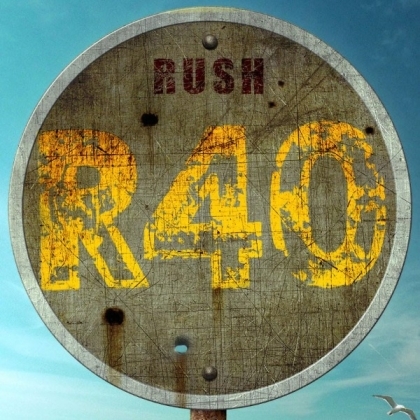 The Canuck prog-rock legends announced today that, on November 11, they’ll be releasing R40, a 10-DVD/6-Blu-ray collector’s boxed set which also includes all eight songs from a show in 1974 at Laura Secord Secondary School, featuring original drummer John Rutsey. Bet you weren’t there for that gig! The bonus discus also features five songs from the Capitol Theatre in 1976 such as “Anthem” and “Lakeside Park”, the rarely performed, seven-part version of “2112” filmed in 1997, “Lock and Key” from the Hold Your Fire tour, and footage from that historic night when the boneheads down at the Rock and Roll Hall of Fame finally inducted Geddy, Alex, and Neil (and–in spirit at least–Rutsey too. Never forget Rutsey!). The package also includes such previously released Rush concert films as Rush In Rio, R30, Snakes & Arrows Live, Time Machine 2011: Live In Cleveland, and Clockwork Angels Tour. But you’ve probably already got all those, right? The 10 DVD (or 6 Blu-ray) discs are contained in a stunning 52 page hardback book measuring 305mm x 225mm with the 10 discs contained in 5 additional rigid insert pages each holding two discs. The 52 pages of the book are filled with memorabilia and photographs documenting 40 years of Rush live in concert. This is the ultimate collection of Rush live performances, beautifully presented. Yeah, yeah–we know it’s beautiful. Now bring on the Rutsey!